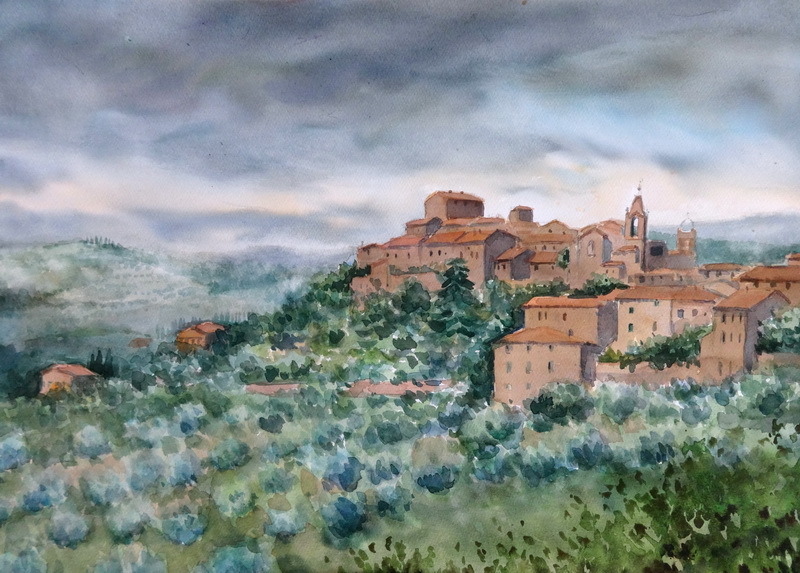 Elizabeth Cochrane, Paintings from tuscany - Montisi, Siena | Snow in Montisi ! People often ask me if it ever snows in Montisi. 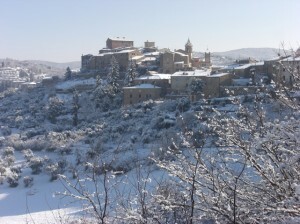 Here is a photo of Montisi in the snow. When it snows here, this charming hill town turns into a winter wonderland. The weather reports are mostly accurate and we get our shopping done and make sure there is enough wood and prepare ourselves for the occasional snow that comes in December, January,February and even March.